A BRISBANE family camped at Teewah narrowly escaped catastrophe when their camper trailer spontaneously burst into flames as they slept, it was revealed today. "The kids are still traumatised," their father, who asked not to be identified, told The Gympie Times from the family's Kallangur home. "I was woken by the heat of the tent burning behind my head. "I had to drag my wife out, she's a heavy sleeper. "The kids were in swags on the ground and one of the swags had begun to catch fire, but we got him out. "We saved the car but only just. It's badly burned at the back. "I'll go camping again, but the kids will be harder to convince. They're still traumatised. They're sleeping on the floor of the house in the lounge so they won't be too far away from our bedroom," he said. "It was our first camping trip. The trailer was only three weeks old." 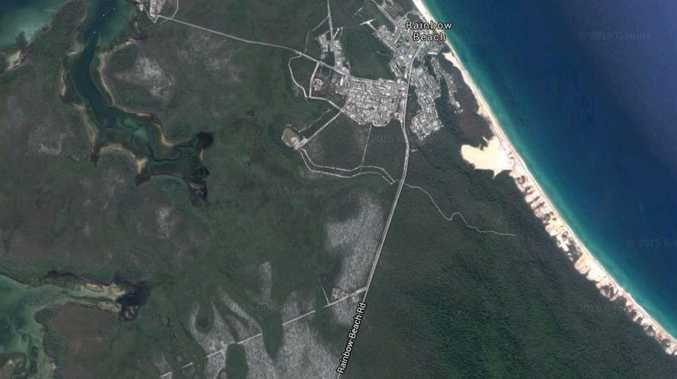 The incident occurred about 10.30pm on Boxing Day evening, Dave Elder, of Rainbow Beach towing, said this afternoon. Fire fighters from Tewantin had extinguished the blaze. "It was a pretty serious fire. I believe an electronic component caught fire. "The rims were melted and the trailer is a write-off," he said. The incident seems to have been the only upset in a busy but very enjoyable Christmas-New Year break so far. A beautiful day and masses of beach-goers meant happiness for visitors and businesses alike. "We were just smashed," said a surf club worker yesterday. "It's been very busy, lots of cars up and down the beach and lots of people." "Keep up the good work," said Gympie Road Policing Unit boss Peter Webster. 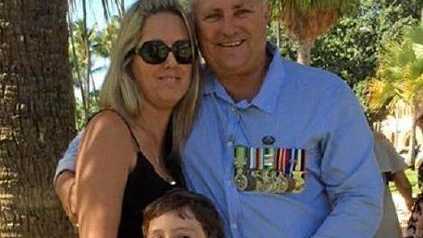 "If people can just keep it together for another couple of weeks, we'll be right," Sgt Webster said. The Brisbane-based Drug Testing Unit was busy at Rainbow Beach yesterday, along with officers from the Maryborough Tactical Crime Squad and Sunshine Coast and Gympie traffic police. "The Nambour Road Policing Unit is also conducting an operation on Noosa North Shore, doing drug and alcohol testing of drivers. "Anytime, anywhere," Sgt Webster said.